Covenant Relationships: When a Woman is Just TOO STRONG! It seems the world and all the people in it will never cease to amaze me. Just when I think I have heard it all, someone utters a statement that leaves me bewildered and sends me on a wild research chase in a bid to assure myself that what I heard was simply an individual's opinion, and has no bearing whatsoever on the world. Many times I have come to the pleasant realization that the shocking statement I heard was simply the ranting of an individual who had no clear understanding of the situation. However, when the words 'women' and 'strength' are put together in the same sentence, my research has revealed an array of more questions instead of answers. It is very common knowledge that women of colour who are independent are often shunned or mocked by society, especially if they happen to be single. Many people, men and women alike are quick to point out the reason for many women being single past the age of 30 is because they are 'just too strong'. This perspective of society set me off on my research and boy oh boy, what I discovered left me in what I can call a state of 'wonderment', because really, it left me wondering if I am on the right planet. I discovered that many young men, mostly men of colour, find it hard to accept a strong woman who can hold her own. Her strength is viewed as a personality ill that ought to be hidden so far away, they'd never even smell it. Being strong for women is considered to be a direct result of lack of submission, so most of these men, whom I daresay are fellow Africans believe a well-rounded, well-grounded, goal-chasing, decision-making female is a wrong type of female, and should either be brought down a peg or two, or completely ignored, as she's not worth the investment of commitment. *deep sigh* How did we get here? This is something men need to understand: Before you met this woman, before you became her friend,before you thought of dating her, before you started to consider helping her get through life as a partner should, being strong was all she had! She didn't get to the position where you fell in love with her by being weak, sitting around for someone else to decide her life, or by letting opportunities slip by. Before you met her, she was probably at a point where she had no one but God, and had to be resilient in the face of life's storms. She had to make decisions, she had to face mistakes, she had to fight...before you ever even laid eyes on her, she had to work hard! 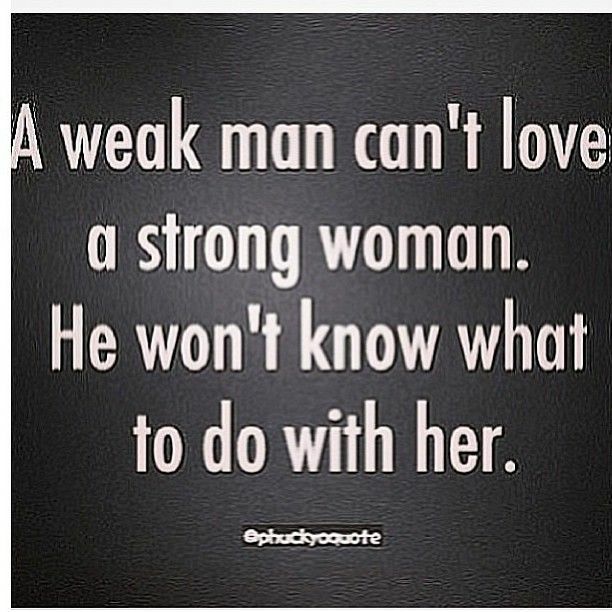 So don't come around and talk about how she's too strong! Would you be attracted to her if you met her as a couch potato weakling who was too lazy to go out and get her share of the world's opportunities? Would you be attracted to her if her only dream in life was to get married, have kids and spend your money? During the course of my research, most of the men I met spoke so bitterly of these strong women who had jobs, cars, well-furnished apartments and fancy clothes. According to one of them, "no guy wants a woman who has everything, else he will feel there is nothing he can do for her." I beg to differ but that's a topic for another day. Thank you Demi, your post is so refreshing and inspiring. Thank you for this. God bless you.